Train hard but stay cool under pressure in this adidas Magic Logo Ladies Tank Top in a Grey two colourway. 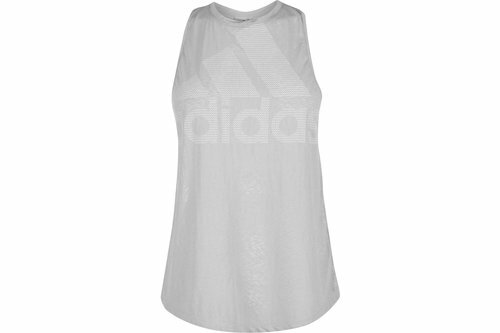 This adidas Magic Logo Tank Top is a sleeveless design with a crew neck. It is crafted with a racer back and is lightweight construction. This tank top is a block colour that features a printed logo and is complete with adidas branding.